This has to be one of my new favourite raw paleo desserts. 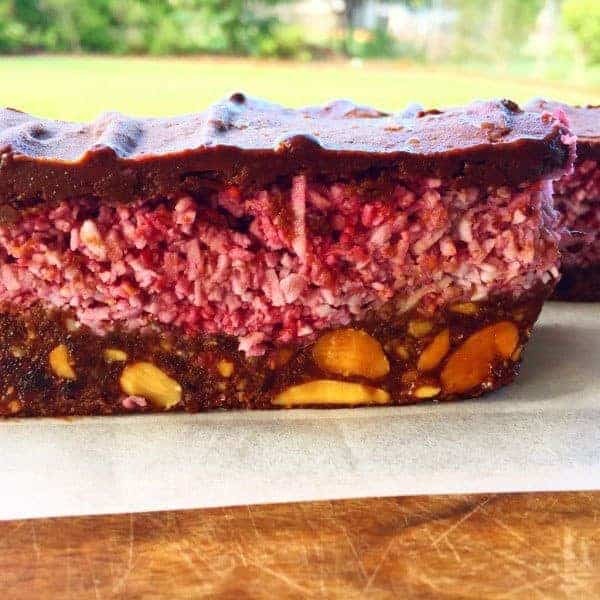 This Raw Paleo Chocolate Raspberry Slice is a delicious dessert, because not only is it nutritious (although still only an ‘occasional’ treat) it only contains 7 ingredients – and ones that are always in my house! Winner.